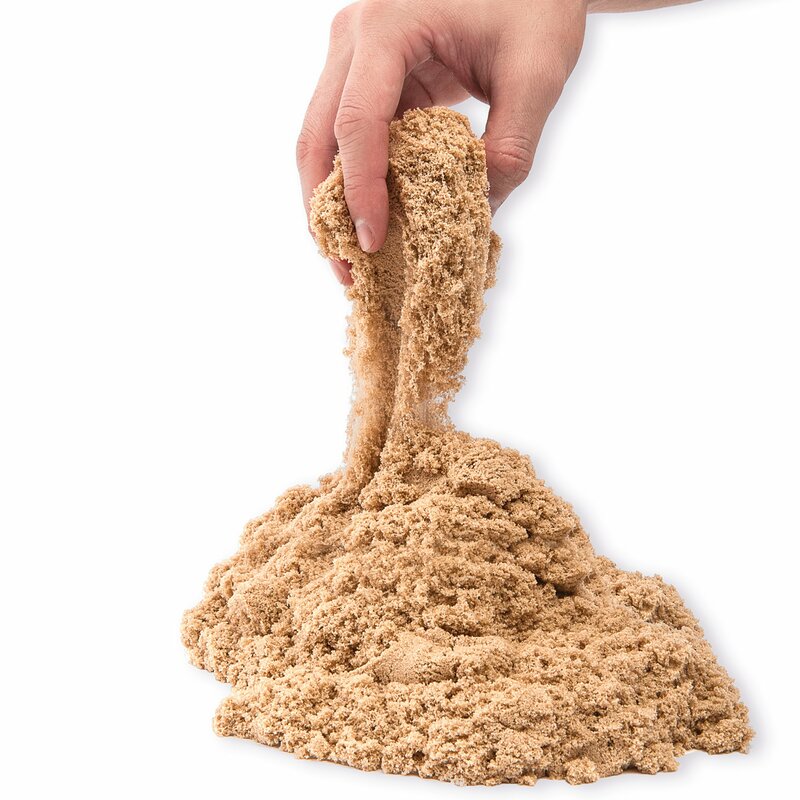 FEELS LIKE WET BEACH SAND: Kinetic Sand Beach Sand feels like wet beach sand that's actually dry! 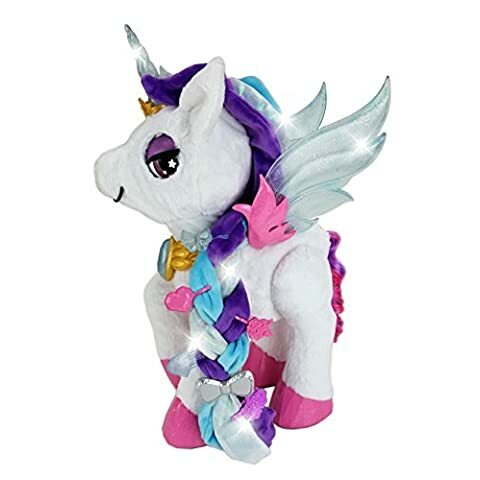 It magically flows through your hands without sticking. 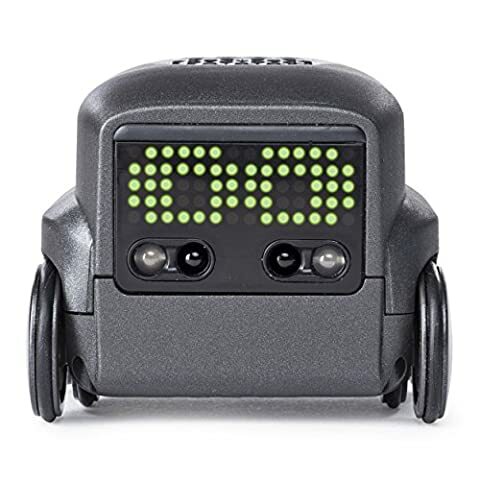 It's easy to shape and mould and cleans up easily! 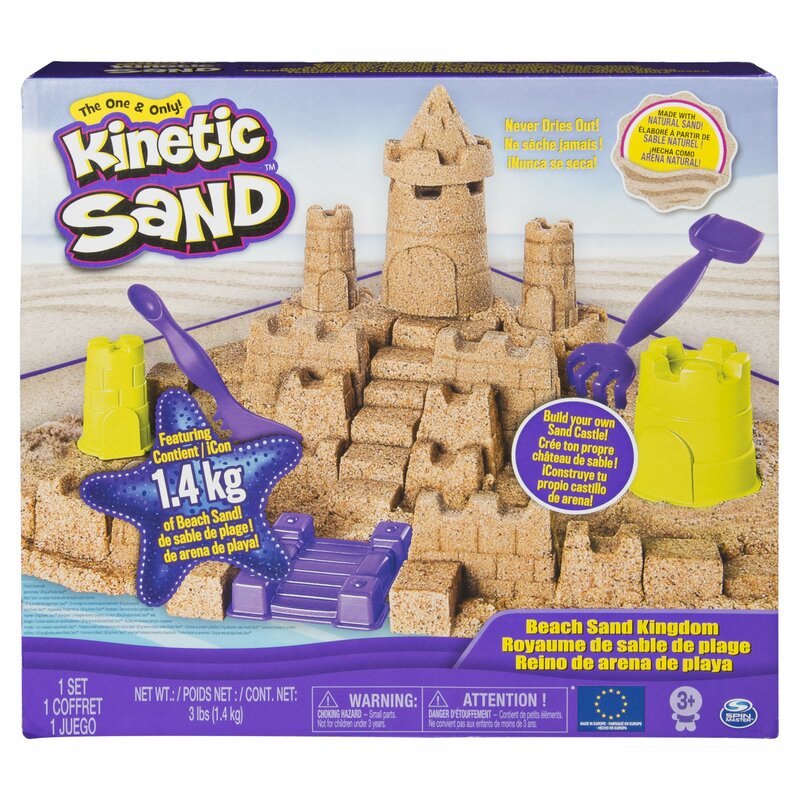 Like all Kinetic Sand products, Kinetic Beach Sand is wheat, gluten and casein free. 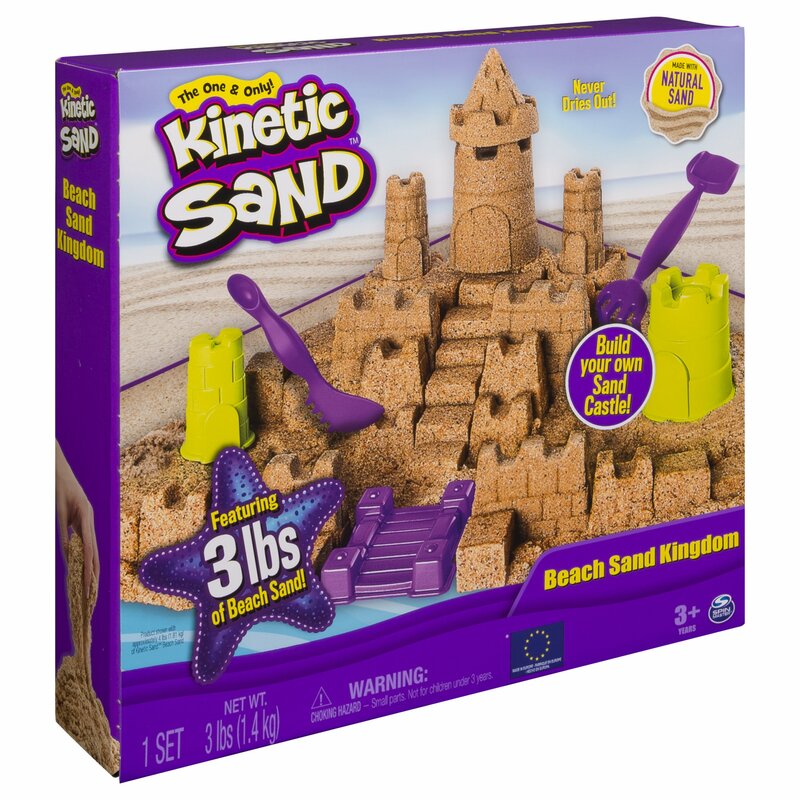 3LBS OF BEACH SAND: The Beach Sand Kingdom comes with 3lbs of Kinetic Beach Sand, so you can build your own sandcastles again and again! Plus, the packaging doubles as a beach-themed play space! 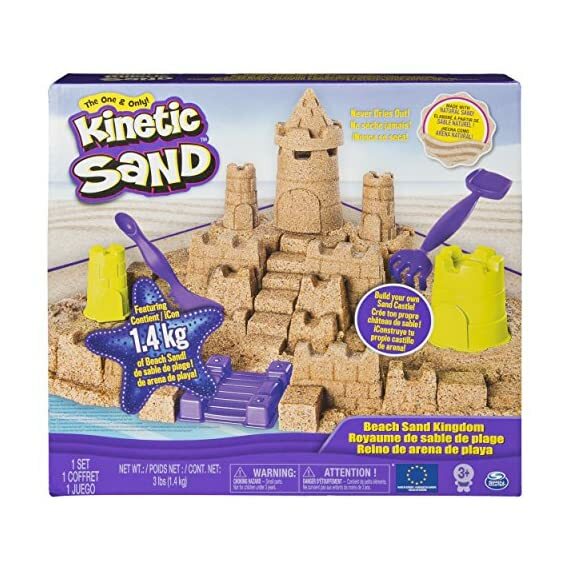 When you're finished playing, pack the Kinetic Beach Sand, moulds and tools away until next time. 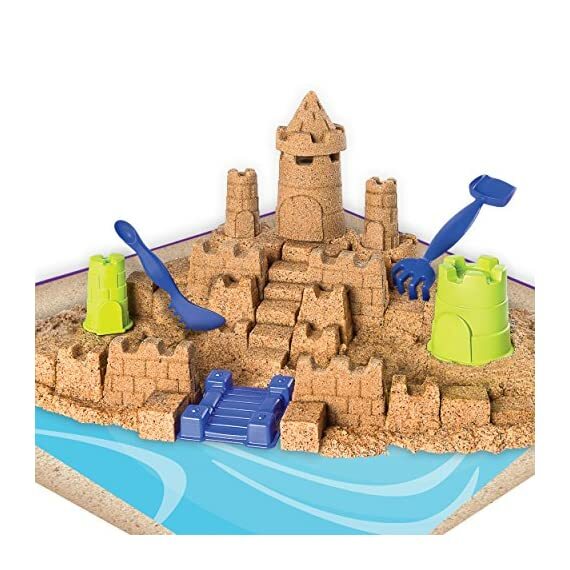 8 CASTLE-THEMED MOULDS & TOOLS: The Beach Sand Kingdom includes everything you need to create epic sandcastles anywhere! 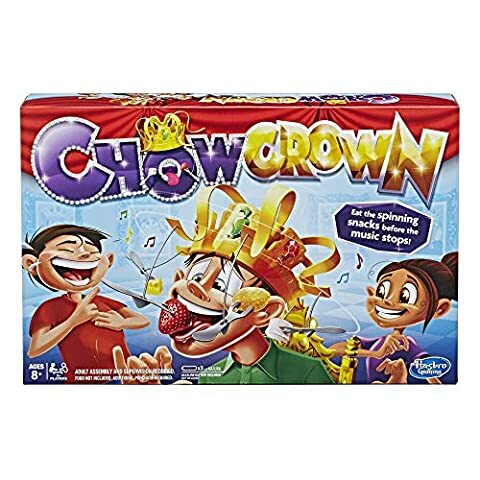 Use the 6 castle-themed moulds to create walls, bridges, towers and more. The 2 multi-use tools can be used to cut, dig, rake and shovel Kinetic Beach Sand. 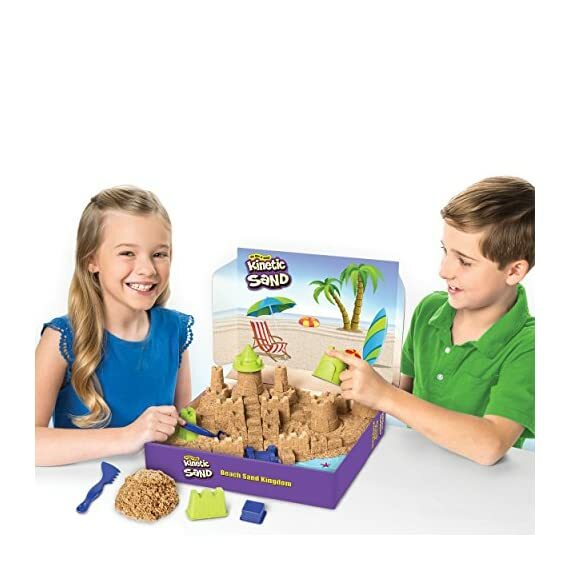 Build amazing sandcastles anywhere with the Kinetic Sand Beach Sand Kingdom! 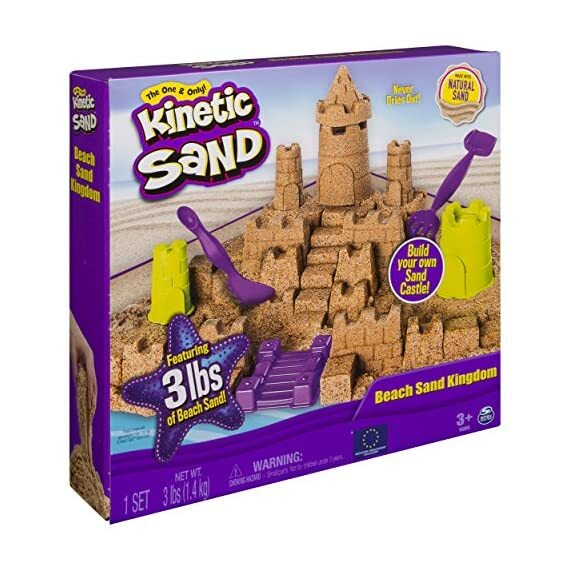 The Beach Sand Kingdom playset includes 3lbs of Kinetic Beach Sand and everything you need to build real sandcastles! 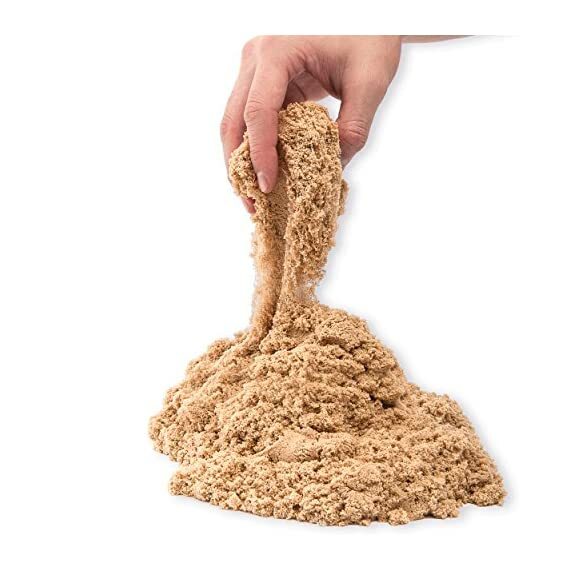 Different from the smooth feel of classic Kinetic Sand, Kinetic Beach Sand is made with larger grains of natural sand and feels just like wet beach sand! 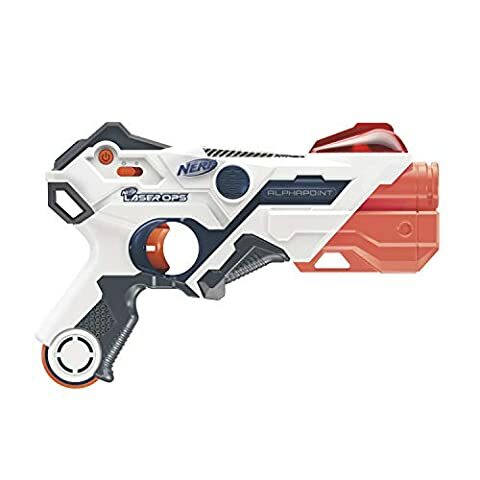 It easily moulds and never dries out, so you can build again and again! Use the 6 castle-themed moulds to build your sandcastles and create towers, walls, bridges and more! The 2 multi-use tools can be used to cut, dig, rake and shovel your Kinetic Beach Sand! Unfold the box to reveal a beachy play space and create sandcastles anywhere! When you re finished building sandcastles for the day, clean-up is easy. Gather your Kinetic Beach Sand into a large ball and use it to pick up smaller bits of sand, then pack everything away into the box until next time. 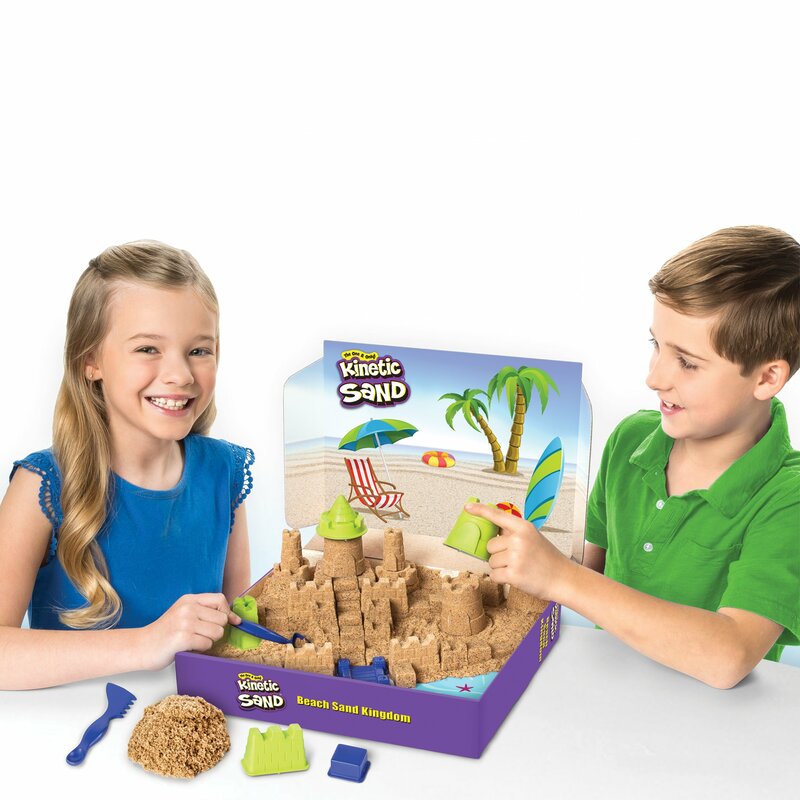 Bring the fun of the beach home and build your own sandcastles with the Kinetic Sand Beach Sand Kingdom! The Kinetic Sand Beach Sand Kingdom is a 2018 PAL Award Winner, being recognized for promoting play that advances language in children. 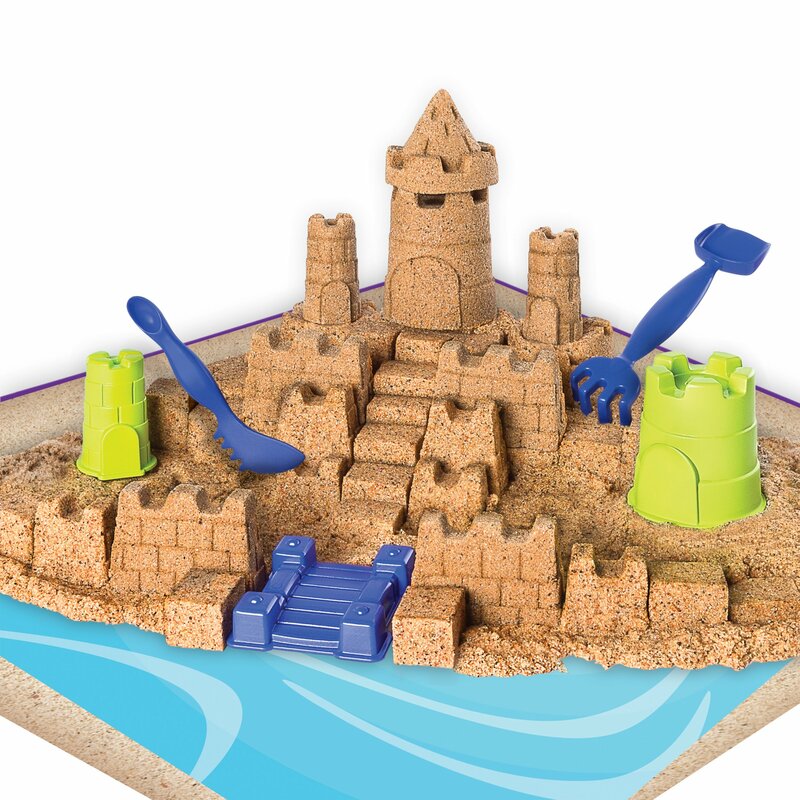 The Beach Sand Kingdom is perfect for creative and imaginative play for kids aged 3 and up.